Cozy up in the 1-bedroom, 1-bathroom The Promise at Cool Creek, where you’ll have space for up to 4 guests, convenient amenities, and some awesome outdoor spaces. 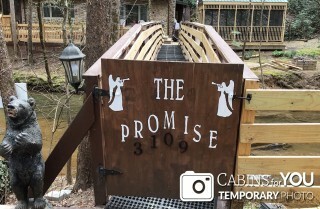 Inside or out, you can relax, unwind, and enjoy some time as a couple, with family, or with a few friends at this Pigeon Forge cabin with a river view. 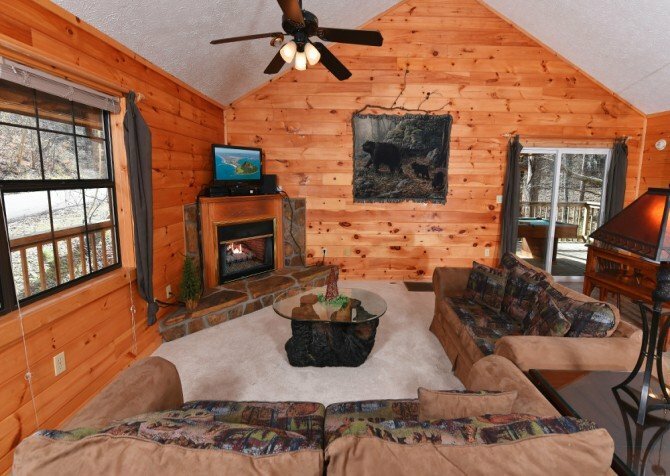 At night, a king-size bed awaits in the bedroom, along with a TV. 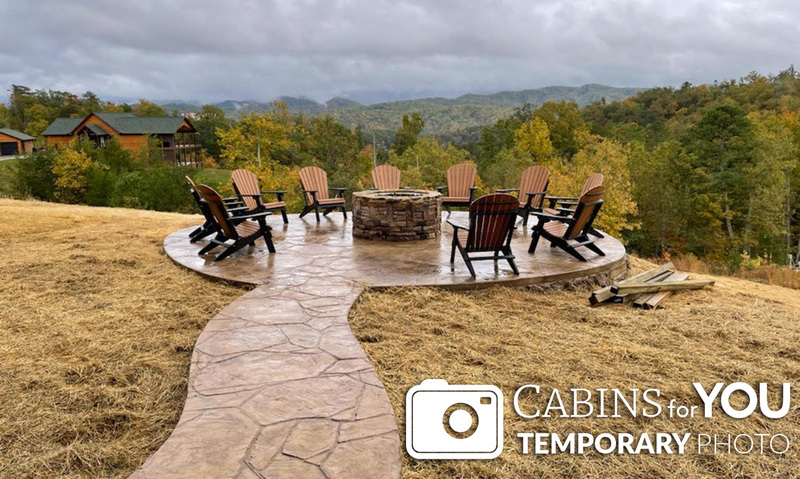 On cool mountain nights, you can gather around the gas fireplace, enjoy a hot meal made in the fully equipped kitchen, or climb into the soothing outdoor hot tub to ease muscles after hikes and busy days. 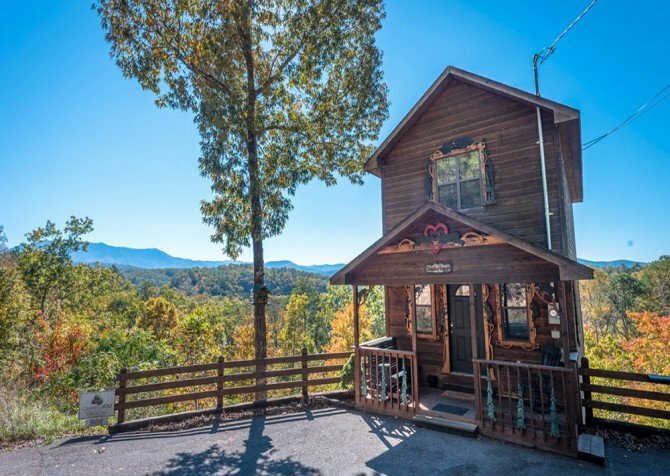 In the mornings, start off with a cup of coffee in the rocking chairs before heading into town. 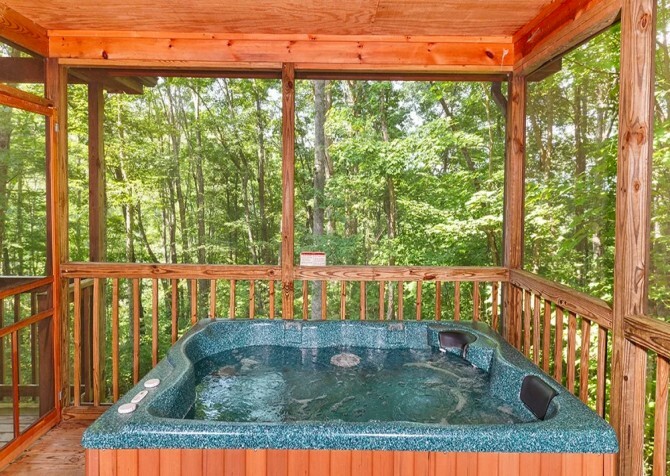 Outdoor amenities are equally impressive, with a screened outdoor hot tub gazebo and large, relaxing stream just out the front deck – with new decking all around. 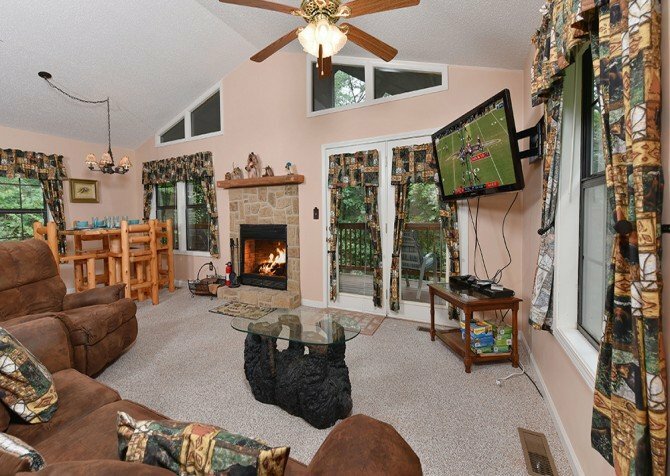 Plus, the inside has a fresh paint of coat and extras like a washer/dryer, 2 toilets in the bathroom, a DVD player, and a big screen TV!